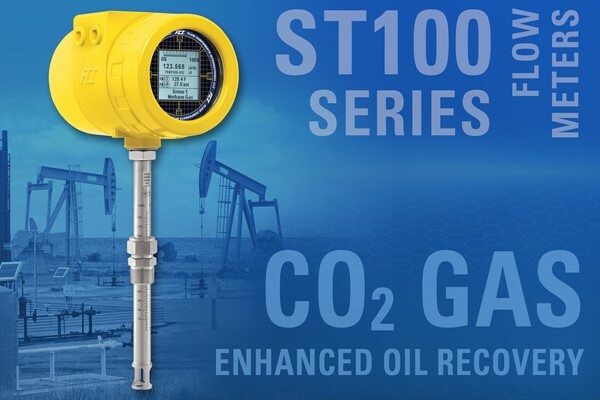 The Rugged ST100 Digester Gas Flow Meter is ideal for Municipal or Industrial Wastewater Treatment, BioGas, Landfill Gas and many more applications. 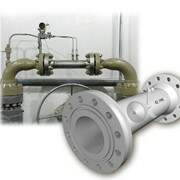 Digester waste gas is a combination of methane (CH4) and carbon dioxide (CO2) with a small percentage of other trace gases. 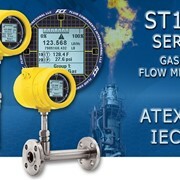 Its gas composition can vary with the process and temperature (e.g. 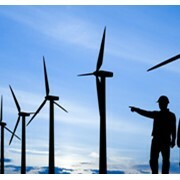 seasonally), but a typical average is in the range of 65% (±5%) CH4 and 35% (±5%) CO2. 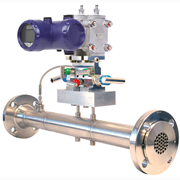 Digester gas is also a wet/moist and dirty gas, typically containing entrained hydrogen sulphides, which condense and deposit on pipe walls and anything else in the pipe. 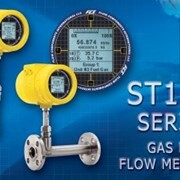 Two other factors that are key selection of a digester gas flow meter are installation safety and service access. 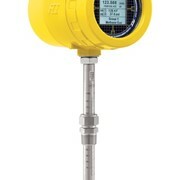 Since CH4 is a combustible, potentially explosive gas, instrumentation should carry agency approval certification for Div.1/Zone 1 HazEx installations. 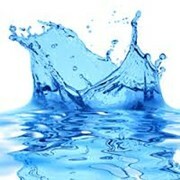 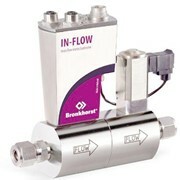 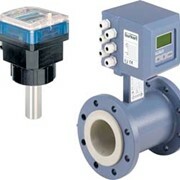 If the flow meter’s installed location will be prior to gas drying/cleaning or without that altogether, then engineers must also considered measuring success in moist gases, plugging or fouling of orifices or moving parts due to H2S deposits, and cost and ease of access for periodic cleaning to remove H2S residue. 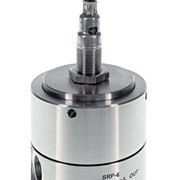 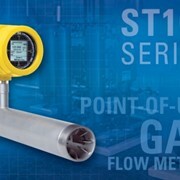 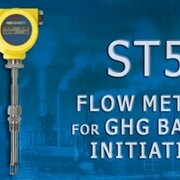 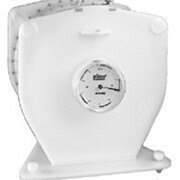 The ST100 Flow Meter, can be calibrated for the specific digester gas mix composition and processes temperature conditions in flow ranges from 0.07 NMPS to 305 NMPS and with accuracy to ±0.75 percent of reading, ±0.5 percent of full scale. 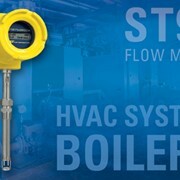 ST100’s constant power thermal dispersion, mass flow technology, has proven superior in applications with moist, dirty gases. 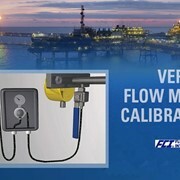 It can be installed in the pipe with a simple, retractable compression fitting or through a ball valve for easy access and which saves significant costs over spool-piece technologies that require installation of extra, extensive by-pass pipe networks for service access. 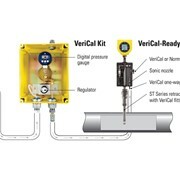 When selecting the ST100 meter, users have multiple options to communicate with DCS, PLC or SCADA, including 4-20 mA analogue, frequency/pulse, or certified digital bus communications of HART, Foundation Fieldbus, Profibus PA or Modbus RS485. 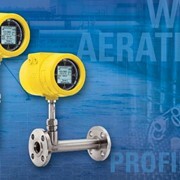 It’s graphical, multivariable backlit LCD display, provides a sophisticated, continuous readout of all process measurements and alarm status for easy on-site viewing by technicians, and it has the ability to query for service diagnostics. 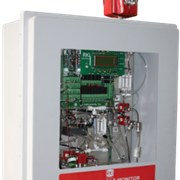 Included are a USB port, set-up and configuration software, an on-board data logger capable of storing 80M readings, and a 3-point in-situ calibration check capability. 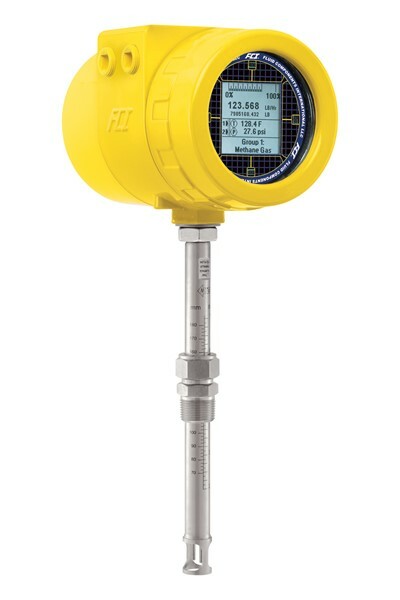 The transmitter/electronics can be integrally mounted with the flow element or may be remote mounted to 1000 feet [305m] away.